informacje w jednym z wymienionych formatów, proszę skontaktować się z Zespołem ds. Cadder HA pod numerem telefonu 0141 945 3282 / enquiry@cadderhousing.co.uk. l’un de ces formats, veuillez contacter Cadder HA au 0141 945 3282 / enquiry@cadderhousing.co.uk. هذه المعلومة متوفرة تحت الطلب بلغات أخرى، بطباعة بأحرف ARABIC آبيرة ، بطريقة برايل و على شريط صوتي. إذا آنت ترغب في الحصول على هذه المعلومة بأي من هذه الصيغ، الرجاء أن Cadder HA تتصل بفريق سياسة جمعية آلاسكو للإسكان 0141 945 على الرقم 3282 / enquiry@cadderhousing.co.uk. SOMALI Warbixintaan waxaa, haddii la dalbado lagu heli karaa luuqaddo kale, daabacaad weyn, Farta ay dadka indhaha la’ akhriyaan (Braille) iyo qaab cajaladdo maqal ah. Haddii aad doonayso inaad warbixintan ku hesho mid ka mid ah qaababkaas, fadlan kala xidhiidh Kooxda Xeerarka ee Cadder HA telefoonka 0141 945 3282 / enquiry@cadderhousing.co.uk. حروف بريل (براى نابينايان) و بر روى نوار صوتى درخواست نماييد. در صورتى آهتماس Cadder HA مايل به دريافت اين مطالب به يكى از شكل هاى فوق هستيد لطفاً با دفت حاصل آنيد. شماره تلفن 0141 945 3282 / enquiry@cadderhousing.co.uk. RUSSIAN Данная информация может быть предоставлена по требованию на других языках, крупным шрифтом, шрифтом Брайля и в аудиозаписи. Если вы хотите получить данную информацию в одном из этих форматов, обратитесь в Cadder HA по телефону 0141 945 3282 / enquiry@cadderhousing.co.uk. 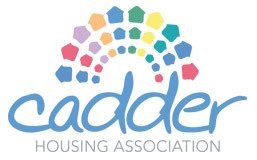 Cadder Housing Association (hereinafter the “Association”) is committed to ensuring the secure and safe management of data held by the Association in relation to customers, staff and other individuals. The Association’s staff members have a responsibility to ensure compliance with the terms of this policy, and to manage individuals’ data in accordance with the procedures outlined in this policy and documentation referred to herein. 3.1 The Association holds a variety of Data relating to individuals, including customers and employees (also referred to as data subjects) which is known as Personal Data. The Personal Data held and processed by the Association is detailed within the Privacy Notice at Appendix 1 hereto and the updated Terms of and Conditions of Employment which has been provided to all employees. 4.2.1 The Association has produced a Privacy Notice (PN) which it is required to provide to all customers whose Personal data is held by the Association. That PN must be provided to the customer from the outset of processing their Personal Data and they should be advised of the terms of the PN when it is provided to them. 4.3.1 Employee Personal data and, where applicable, Special Category Personal Data or Sensitive Personal Data, is held and processed by the Association. Details of the data held and processing of that data is contained within the Employee Privacy Notice which is provided to Employees at the same time as their Contract of Employment. 4.3.2 A copy of any employee’s Personal Data held by the Association is available upon written request by that employee from the Association’s Finance & Corporate Services Manager. 5.2.2 Where the Association shares in the processing of personal data with a third party organisation (e.g. for processing of the employees’ pension), it shall require the third party organisation to enter in to a Data Sharing Agreement with the Association in accordance with the terms of the model Data Sharing Agreement set out in Appendix 2 to this Policy, or similar terms as agreed. Where the Association contracts with a third party to process personal data held by the Association, it shall require the third party to enter in to a Data Protection Addendum with the Association in accordance with the terms of the model Data Protection Addendum set out in Appendix 3 to this Policy, or similar terms as agreed. Personal Data stored electronically must also be protected from unauthorised use and access. Personal Data should be password protected when being sent internally or externally to the Association’s data processors or those with whom the Association has entered in to a Data Sharing Agreement. If Personal data is stored on removable media (CD, DVD, USB memory stick) then that removable media must be stored securely at all times when not being used. Personal Data should not be saved directly to mobile devices, unless password protected or encrypted, and should be stored on designated drive and servers. The Finance & Corporate Services Manager will require to report any breaches which pose a risk to the rights and freedoms of the data subjects who are subject of the breach to the Information Commissioner’s Office (“ICO”) within 72 hours of the breach occurring. The Finance & Corporate Services Manager must also consider whether it is appropriate to notify those data subjects affected by the breach. 8.1. A Data Protection Officer is an individual who has an over-arching responsibility and oversight over compliance by the Association with Data Protection laws. The Association does not require to appoint a DPO under the GDPR rules and has elected not to appoint a Data Protection Officer. 9.2 Data subjects have a right to request a restriction of processing their data, a right to be forgotten and a right to object to the Association’s processing of their data. These rights are notified to the Association’s tenants and other customers in the Association’s Privacy Notice. 9.4.2 Each request received by the Association will require to be considered on its own merits and legal advice will require to be obtained in relation to such requests from time to time. The Finance & Corporate Services Manager will have responsibility for accepting or refusing the data subject’s request in accordance with clause 9.4 and will respond in writing to the request. 9.5.2 Each request received by the Association will require to be considered on its own merits and legal advice will require to be obtained in relation to such requests from time to time. The Finance & Corporate Services Manager will have responsibility for accepting or refusing the data subject’s request in accordance with clause 9.5 and will respond in writing to the request. 10.3 The Association will require to consult the ICO in the event that a PIA identifies a high level of risk which cannot be reduced. The Finance & Corporate Services Manager will be responsible for such reporting, and where a high level of risk is identified by those carrying out the PIA they require to notify the Finance & Corporate Services Manager within five (5) working days. The Association cannot store and retain Personal Data indefinitely. It must ensure that Personal data is only retained for the period necessary. The Association shall ensure that all Personal data is archived and destroyed in accordance with the periods specified within the table at Appendix 4 hereto, and its Document Retention Policy. The Appendices to the Policy identified are supporting documents for the implementation of the policy and do not form part of the policy.